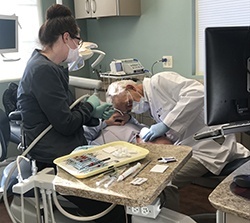 At Valley Dentists of Belchertown, we’re happy to offer a wide range of dental services, from preventive cleanings and exams to more advanced care with crown and bridges or dental implants. Every smile is different, and our goal is to meet the widest range of dental needs for patients of all ages. If you need help with your smile, let us talk to you about your treatment options. Do you have a knocked out or broken tooth? Are you experiencing severe pain? Call us immediately for help. Dr. M. always returns emergency calls within 60 minutes and we consistently provide or accommodate emergency care into our schedule. A healthy smile and a healthy life begin with regular dental care. 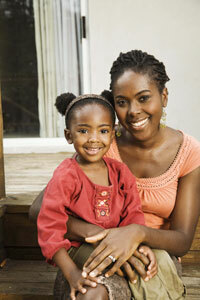 That includes care at home with brushing and flossing, but also care with routine dental exams and cleanings. We recommend that patients see Dr. Medaugh at least twice a year for routine care. Not only can we provide maintenance for your smile with a cleaning, we can watch for developing issues that require our attention. Providing care early is part of our commitment to helping patients enjoy lifelong health and wellbeing. Are you unhappy with how your smile looks? Dr. Medaugh would be happy to recommend one or more cosmetic services to help you enjoy a whiter, straighter, more dazzling smile. We offer many of today’s most popular cosmetic services and will be happy to create a personalized treatment plan to help you achieve your esthetic goals. At some point, we all need restorative care, whether it’s just for a small cavity or for something more advanced, such as a missing tooth. Our Belchertown office is equipped to handle a range of restorative issues, so you can leave our office with a healthy smile again. We even offer emergency care for patients who have urgent needs. If you’re experiencing a dental emergency, let us know as soon as possible so we can help you. Do you want to schedule an appointment with Dr. Mark Medaugh? Call Valley Dentists of Belchertown today. We would be happy to assist you with scheduling a visit or simply answering a question. Our office is conveniently located in Belchertown and serves patients from Belchertown, Ware, Granby, Ludlow, Warren, Hardwick, Gilbertville, Hadley, Amherst, Palmer and all surrounding communities.